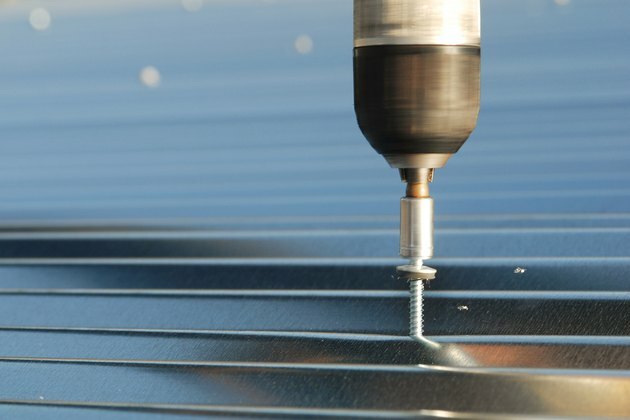 Self-drilling or self-tapping metal screws increase productivity by reducing the number of steps required to screw together pieces of metal. A self-drilling screw has a chisel tip similar to a drill bit. This allows you to skip pre-drilling a hole into thinner gauges of sheet metal. 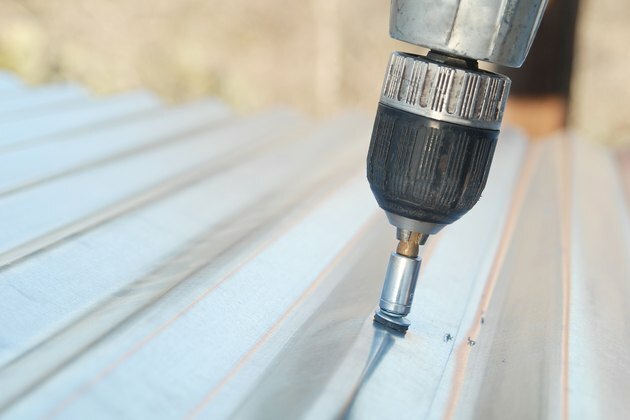 The metal thickness that you are drilling into needs to be thinner than the length of the drilling point of the screw. 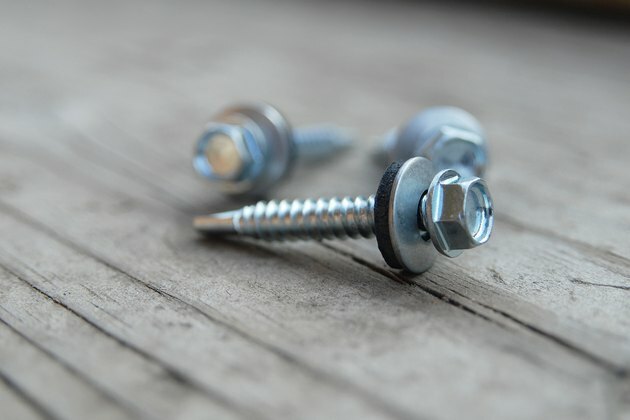 If the screw threads contact the surface of the metal before the hole is bored, the screw will snap, leaving a portion of the screw embedded in the metal. Insert the 5/16-inch hex head adapter into the drill motor. Center the adapter into the drill's chuck to ensure that the adapter does not wander. 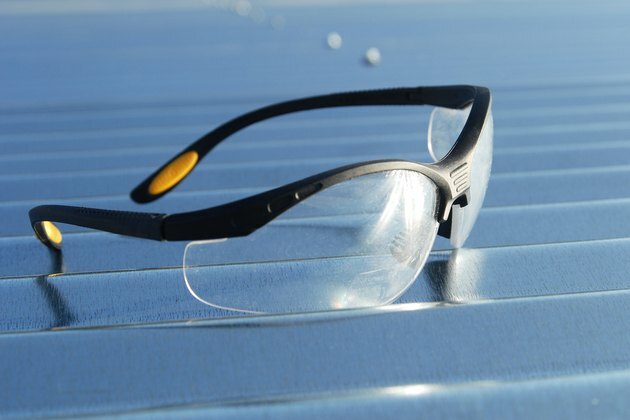 Protect your eyes by putting on your safety glasses. Inspect the hex end of the adapter for cleanliness. 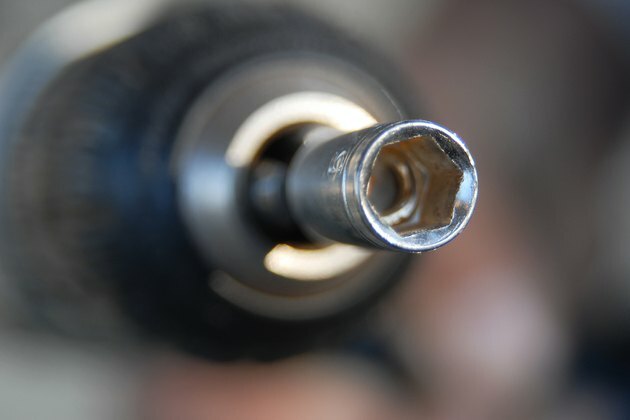 If metal shavings are built up inside the tip, insert the drilling end of the screw into the cavity of the hex head while holding the trigger of the drill. 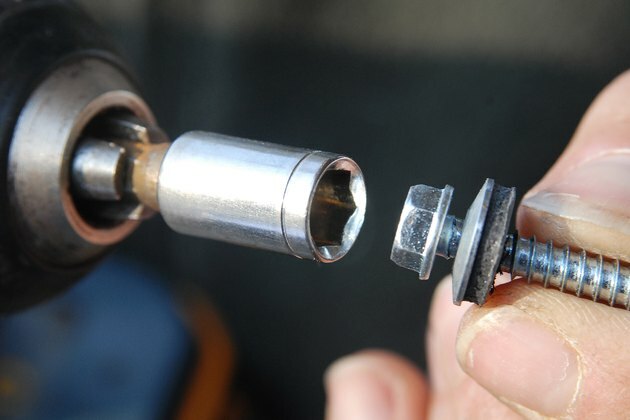 Place a self-drilling screw into the hex head adapter. 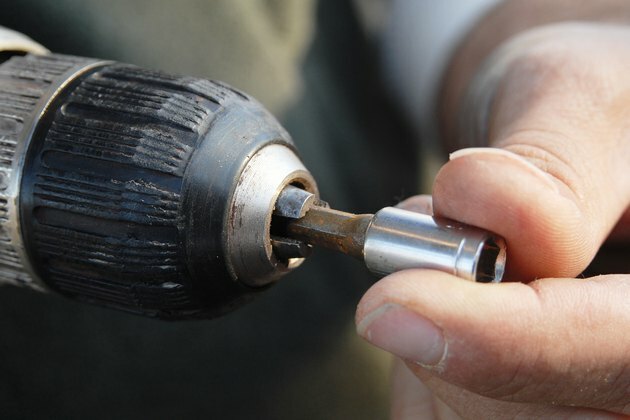 Depress the trigger of the drill slowly, while the drilling tip of the screw rests against the metal. Increase the speed of the drill when the screw finds its center. Stop drilling when the head of the self-drilling screw tightens against the surface of the metal. 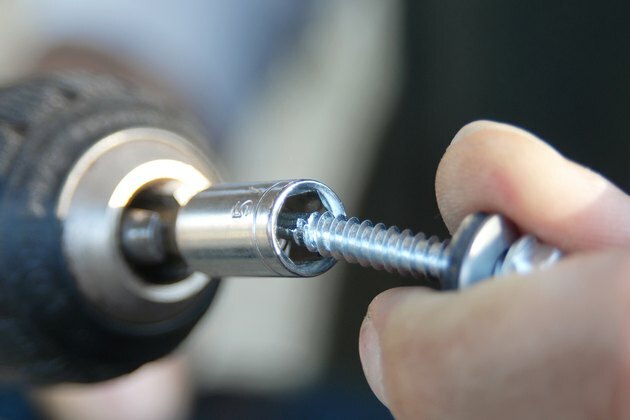 If the drill you are using does not have a clutch, pay close attention to the screw head, as too much pressure will either snap the screw or strip the threads formed in the metal by the screw. Perform Step 3 before you install another self-drilling screw.